Former amateur standout Maude-Aimée LeBlanc has seen her fair share of ups and downs during her six years as a pro, but through it all, she has grown and matured. During the recent Manulife LPGA Classic in Cambridge, the former Canadian national team member took a moment to speak about her journey to success on the golf course. Looking back, the 28-year-old Sherbrooke, Que. native credits her dad, Gaston, for getting her started in the sport at the tender age of five. “It was my dad who introduced me to the game. He never played pro, but he was a really good amateur. I remember really enjoying the sport and playing all the time as a kid,” recalled the 6 foot 1 inch LeBlanc. 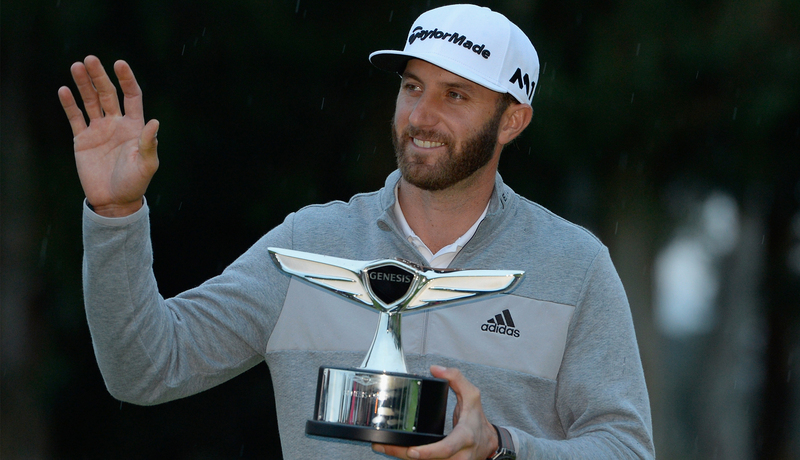 “I started tournaments around nine years old. I was one of only two girls competing in the junior tournaments and we were always beating the boys; and it was around that time that I knew I was pretty good,” she recalled with a smile. LeBlanc says it was American Michelle Wie’s success that inspired her to pursue the sport professionally. “When I was 12 or 13, I remember seeing Michelle Wie on TV all the time; and she was playing professional tournaments already. I was thinking that was pretty cool and I thought that’s what I wanted to do also,” she said. LeBlanc still remembers the thrill of playing alongside Wie during the 2008 Canadian Women’s Open in Ottawa. “I played with her for the first time when I was 19 at the Canadian Women’s Open,” she recalled. In reflecting on her success as an amateur, the 2006 Royal Canadian Junior Girls Champion also credits Golf Canada for playing an important role. “I was on the team with Golf Canada since I was 13. I learned a lot and got a lot of opportunities to play all around the world, so it was great for my development,” said LeBlanc, who also won the 2007 Quebec Amateur Championship. LeBlanc’s success as a junior would score her a full scholarship to Purdue University where she would lead the women’s golf team to the NCAA title in 2010. “It was a great team and Maude was one of the better players – if not the best. I learned so much from her. She was such a long hitter and had a good putter,” recalled former teammate and current LPGA pro Paula Reto during the recent Manulife LPGA Classic. According to another former Boilermaker teammate, Laura Gonzalez Escallon, LeBlanc’s par on the 18th hole required a determined effort. “Maude had to make up-and-down from a really deep bunker where you couldn’t even see her; and she made it to give us the win by one shot. It was clutch,” said Gonzalez Escallon, a first year LPGA pro. Leading her team to the NCAA title in her junior year earned LeBlanc recognition as first team All-American by Golfweek Magazine. LeBlanc says her time at Purdue will always hold a special place in her heart. After graduating in 2011, she secured her full LPGA tour card on her first attempt through Qualifying School. However, a back injury ended her 2012 rookie season half way through. LeBlanc had a difficult time recovering her “A” game following the injury. After struggling in 2013, she would lose her full LPGA status and competed primarily on the Symetra Tour during the 2014 season. By 2015, LeBlanc’s health was back at 100 per cent and her game was rounding back into form. She would go on to record six top five finishes on the Symetra Tour in 22 starts that year. In December of 2015, the former amateur standout once again earned her full LGPA tour card through Qualifying School where she finished in the top five. LeBlanc would go on to record her most successful season as a pro in 2016, as she made the cut in 15 of 23 tournaments, and earned over US$173,000 in prize money. Given her successful 2016 campaign, she entered the 2017 season with the personal goal of breaking through and capturing her maiden LPGA title. However, after a strong start, where she finished in a tie for seventh spot at the ISPS Handa Women’s Australian Open in February, LeBlanc has struggled since – making the cut in only two out of her next 11 tournaments. Despite LeBlanc’s struggles, her former Purdue teammate believes the talented Canadian is capable of putting up much better results. 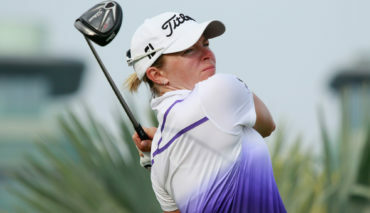 “Maude’s got a great game and she’s one of the longest hitters on tour – so it’s just a matter of having that confidence in her short game,” noted Gonzalez Escallon about LeBlanc who is ranked in the top five in the LPGA in driving distance at just over 275 yards per drive. LeBlanc agrees that a big part of her inconsistency has to do with her confidence on the greens. “I had a really good start to the year. I felt my putting was really good at the beginning of the year and it kind of went downhill a little bit. So, it’s been a bit frustrating,” she said candidly. However, the sixth-year pro says she’s been working hard to address that area of her game. “I’ve been putting in extra time working on my putting in practice and recently I feel like I’m playing a lot better than my scores have been,” she said. While there are a number of big tournaments still to come on the LPGA schedule this summer, says she has one specific one circled on her calendar. 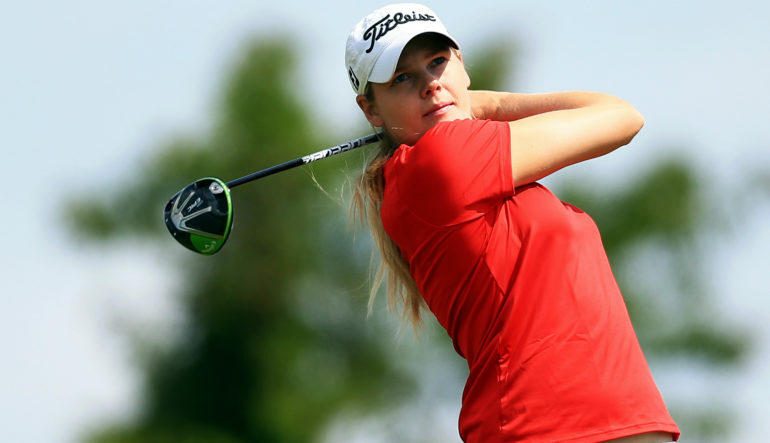 “One of the tournaments I’m really looking forward to is the Canadian Pacific Women’s Open. I have two weeks off before because I’m not playing in the Solheim Cup. So, I’m going be home during that time to play the course a few times before the tournament and I’ll be prepared,” noted the former Canadian national team member. With her back injury now a thing of the past combined with a world class long game, LeBlanc is clear on what she needs to address in order to reach her goals on the golf course for the remainder of this year – and beyond. “I believe that I can still win out there but I just have to get the putter to cooperate,” she said.